Call Now For An Experienced Family law Attorney To Help Navigate The Process! Need an attorney in Saucier, Mississippi? 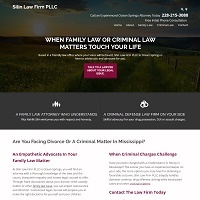 Use the contact form on the profiles to connect with a Saucier, Mississippi attorney for legal advice.